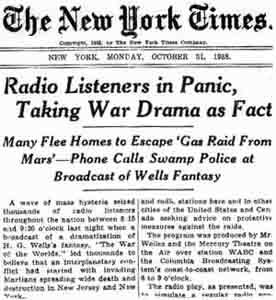 October 30th, 2018 will be the 80th anniversary of the War of the Worlds radio drama that forever proved the power of the relatively new media, radio. My father, James L. "Bo" Daniel, was a 12 year old boy in the small sawmill town of Wright City in southeast Oklahoma. The radio drama was on the radio on a Sunday night when he would usually be in church with his family. Dad told me that sometime during church, a man known to all in the community came screaming through the doors that "Martians had invaded" and that "the world was coming to an end". Had this fellow not been known by the locals, they might have been more shook up about the "news". Many did panic around the country and it would be days before some knew it was just a dramatic play on the radio. Even though I didn't know this man and have long forgotten his name, I can imagine he was like many today who tend to believe anything they hear on the radio or TV, or see on social media, and rebroadcast it before checking the facts. To listen to the full broadcast that aired October 30, 1938, click anywhere on this line. KAWX will air the full broadcast at 6:00 p.m. on October 30th. Listen locally at 93.1 FM or 94.9 FM, anywhere at kawx.org or with a free KAWX app, on any smart device with the TuneIn app, or on Amazon Echo. 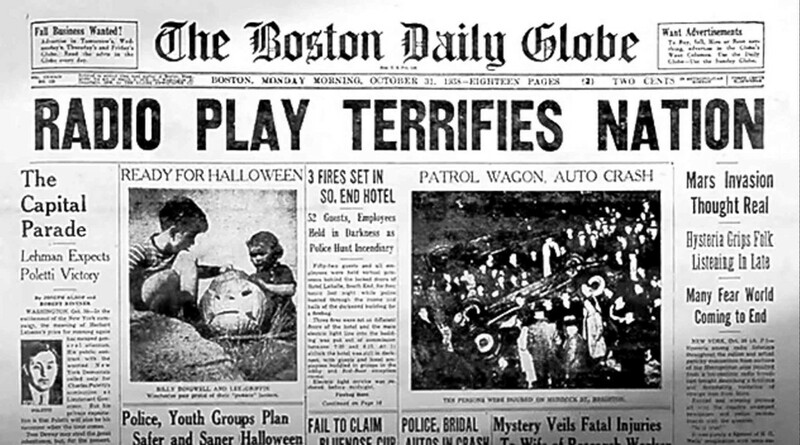 The airing of War of the Worlds on KAWX is in no way an endorsement of Halloween as it has evolved. 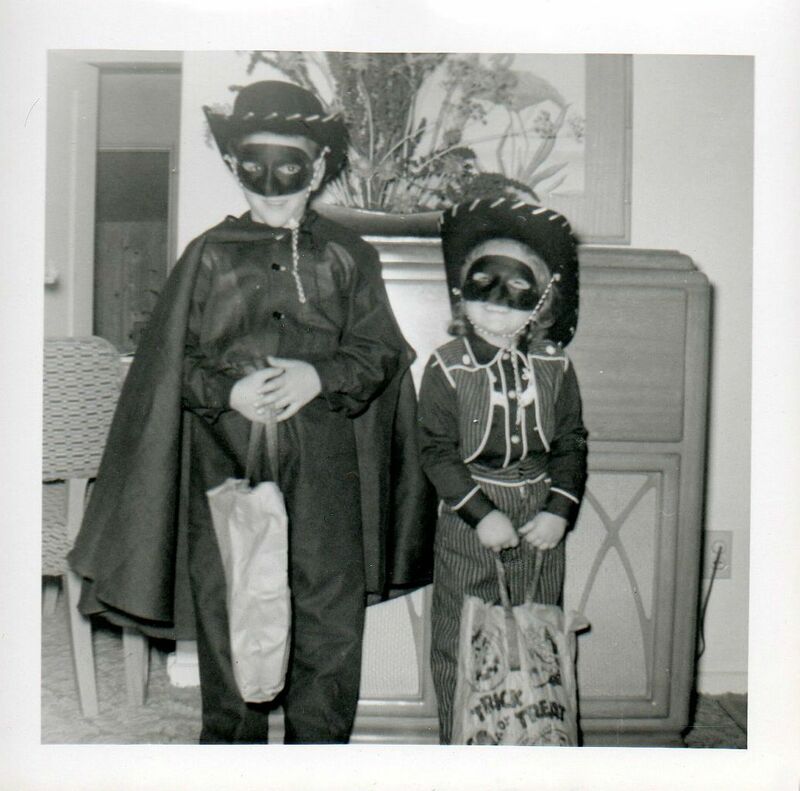 Happy little princesses and rowdy cowboys trick-or-treating is fun and harmless, the occult and gore sometimes associated with this annual event is not. 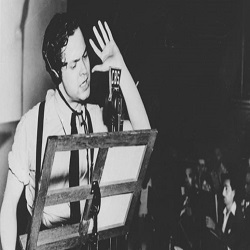 "The War of the Worlds" is an episode of the American radio drama anthology series The Mercury Theatre on the Air. It was performed as a Halloween episode of the series on Sunday, October 30, 1938, and aired over the Columbia Broadcasting System radio network. Directed and narrated by actor and future filmmaker Orson Welles, the episode was an adaptation of H. G. Wells' novel The War of the Worlds (1898). 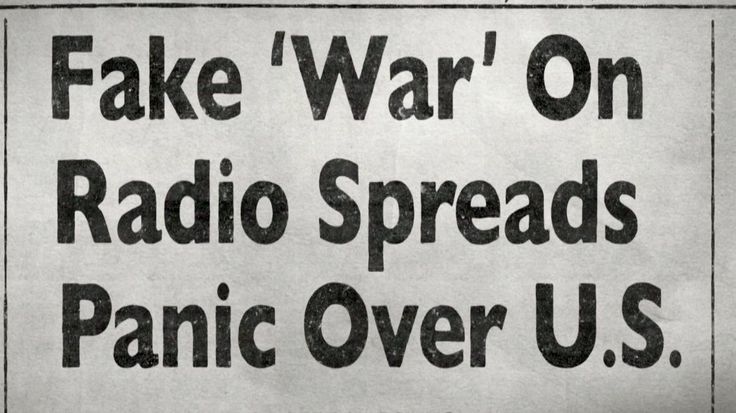 It became famous for allegedly causing mass panic, although the scale of the panic is disputed as the program had relatively few listeners. The one-hour program began with the theme music for the Mercury Theater on the Air and an announcement that the evening's show was an adaption of The War of the Worlds. This was followed by a prologue read by Orson Welles which was closely based on the opening of H.G. Wells' novel. 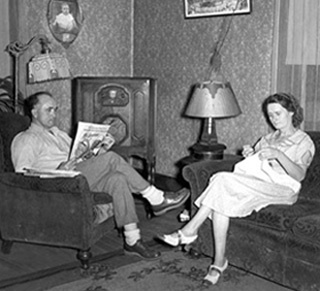 The next half hour of the broadcast was presented as typical evening radio programming being interrupted by a series of news bulletins. The first few updates interrupt a program of dance music and describe a series of odd explosions observed on Mars. This is followed soon thereafter by a seemingly unrelated report of an unusual object falling on a farm in Grover's Mill, New Jersey. Another brief musical interlude is interrupted by a live report from Grover's Mill, where police officials and a crowd of curious onlookers have surround the strange cylindrical object. The situation quickly escalates when Martians emerge from the cylinder and attack using a heat-ray, abruptly cutting off the panicked reporter at the scene. This is followed by a rapid series of increasingly alarming news bulletins detailing a devastating alien invasion taking place across the United States and the world, climaxing with another live report describing giant Martian war machines releasing clouds of poisonous smoke across New York City. After a short break, the program shifts to a more conventional radio drama format and follows a survivor dealing with the aftermath of the invasion and ultimately discovering that the Martians have been defeated not by humans, but by microbes. The illusion of realism was furthered because the Mercury Theatre on the Air was a sustaining show without commercial interruptions, and the first break in the program came almost 30 minutes after the introduction. 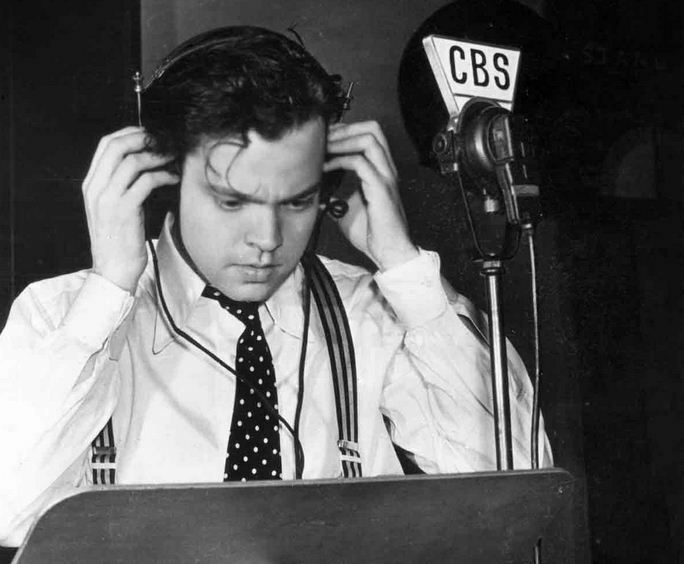 Popular legend holds that some of the radio audience may have been listening to Edgar Bergen and tuned in to "The War of the Worlds" during a musical interlude, thereby missing the clear introduction that the show was a drama, but research in the 2010s suggests that happened only in rare instances. In the days after the adaptation, widespread outrage was expressed in the media. The program's news-bulletin format was described as deceptive by some newspapers and public figures, leading to an outcry against the perpetrators of the broadcast and calls for regulation by the Federal Communications Commission. The episode secured Welles's fame as a dramatist.